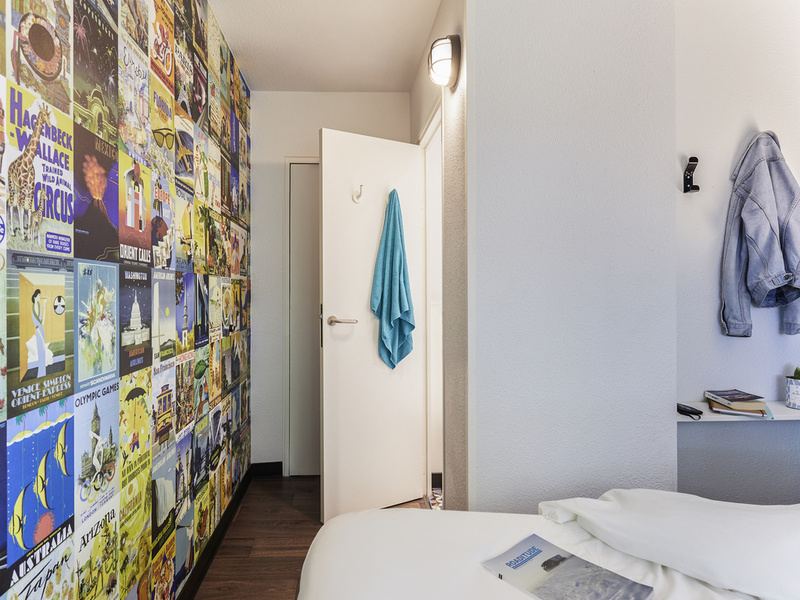 Just 5 miles (8 km) from the entrance to Marne-la-Vallée Disneyland Park and close to the main highways, ideal for both leisure and business travel, this budget hotel offers DUO and TRIO rooms with washbasin area, a flat-screen TV with the TNT channel, an d free WIFI. Spacious showers are nearby. Enjoy an all-you-can-eat breakfast buffet. Our new "ontheroad" concept is coming soon! Your hotelF1 is currently undergoing renovation work.